Sometimes you can no longer care for the person with Alzheimer's disease at home. The person may need around-the-clock care. Or, he or she may be incontinent, aggressive, or wander a lot. When that happens, you may want to look for another place for the person to live. You may feel guilty or upset about this decision, but moving the person to a facility may be the best thing to do. It will give you greater peace of mind knowing that the person is safe and getting good care. A continuing care retirement community (CCRCs) is a home, apartment, or room in a retirement community, where people with Alzheimer's can live and get care. Some of these places are for people who can care for themselves, while others are for people who need care around-the-clock. An advantage is that residents may move from one level of care to another—for example, from more independent living to more supervised care. Assisted living facilities have rooms or apartments. They're for people who can mostly take care of themselves, but may need some help. Some assisted living facilities have special Alzheimer's units. These units have staff who check on and care for people with Alzheimer's disease. You will need to pay for the cost of the room or apartment, and you may need to pay extra for any special care. Some assisted living facilities are part of a larger organization that also offers other levels of care. A group home is a home for people who can no longer take care of themselves. Four to 10 people who can't care for themselves and two or more staff members live in the home. The staff takes care of the people living there: making meals, helping with grooming and medication, and providing other care. You will need to pay the costs of the person with Alzheimer's living in this kind of home. Remember that these homes may not be inspected or regulated, but may still provide good care. Check out the home and the staff. Visit at different times of the day and evening to see how the staff takes care of the residents. Also check to see how clean and comfortable the home is. You'll want to look at how the residents get along with one another and with the staff. Nursing homes are for people who can't care for themselves anymore. Some nursing homes have special Alzheimer's disease care units. These units are often in separate sections of the building where staff members have special training to care for people with Alzheimer's. Some units try to make the person feel more like he or she is at home. They provide special activities, meals, and medical care. 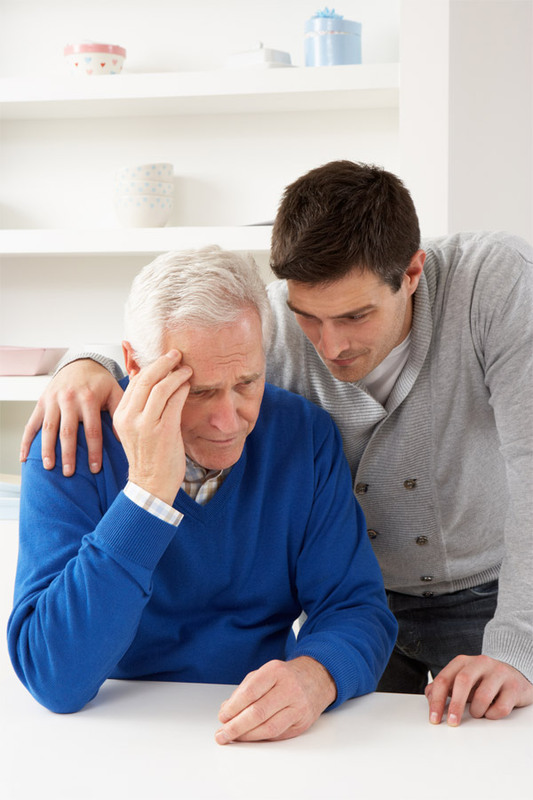 In most cases, you will have to pay for nursing home care. Some nursing homes accept Medicaid as payment. Also, long-term care insurance may cover some of the nursing home costs. Nursing homes are inspected and regulated by State governments. Read about how to choose a nursing home. Talk with your support group members, social worker, doctor, family members, and friends about facilities in your area. Make a list of questions to ask about the facility. Call to set up a time to visit. Here are resources that can provide information about facilities. CMS has a guide to help older people and their caregivers choose a good nursing home. It describes types of long-term care, questions to ask the nursing home staff, and ways to pay for nursing home care. CMS also offers a service called Nursing Home Compare on its website. This service has information on nursing homes that are Medicare or Medicaid certified. These nursing homes provide skilled nursing care. Please note that there are many other places that provide different levels of health care and help with daily living. Many of these facilities are licensed only at the State level. CMS also has information about the rights of nursing home residents and their caregivers. Joint Commission, One Renaissance Boulevard Oakbrook Terrace, IL 60181 1-630-792-5800. The Joint Commission evaluates nursing homes, home health care providers, hospitals, and assisted living facilities to determine whether or not they meet professional standards of care. Visit more than once at different times of the day and evening. How does the staff care for the residents? Does the place feel comfortable? How do the people who live there look? Do they look clean and well cared for? How many staff members are at the facility? How many staff members are trained to provide medical care if needed? How many people in the facility have Alzheimer's? Does the facility have a special unit for people with Alzheimer's? If so, what kinds of services does it provide? Is there a doctor who checks on residents on a regular basis? How often? What is a typical day like for the person with Alzheimer's? Is there a safe place for the person to go outside? How do staff members speak to residents—with respect? How does my loved one get to medical appointments? Talk with other caregivers who have a loved one at the facility. Find out what they think about the place. Find out about total costs of care. Each facility is different. You want to find out if long-term care insurance, Medicaid, or Medicare will pay for any of the costs. Remember that Medicare only covers nursing home costs for a short time after the person with Alzheimer's disease has been in the hospital for a certain amount of time. If you're asked to sign a contract, make sure you understand what you are agreeing to.